Update: June 2008: The electric pumping water system is just finishing up. Water is now available to all families in their homes, but some details remain like installing water meters in each home. Update: October 2008: The project is now complete and up and running. Electric pumping water project beneficiaries pay monthly stipend in anticipation of system repairs and to cover the monthly electric bill. Well project beneficiaries pay for repairs as needed by community colection. 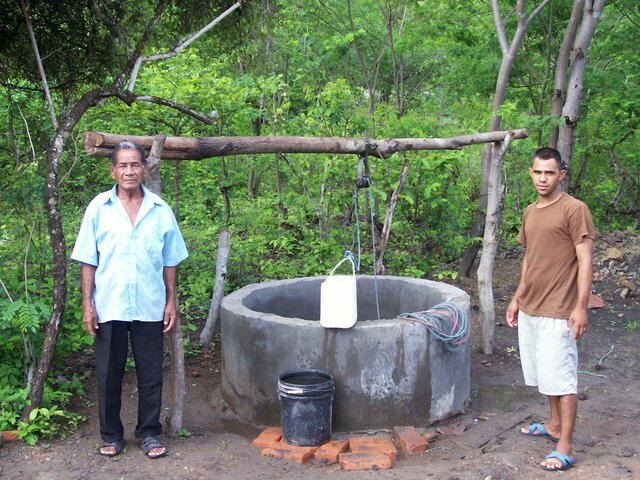 35 families will help build their own wells and water systems. 30 families will help build their own latrines.